Whether you need help yourself or someone you know is facing issues with addiction in Bournemouth, contact Port of Call. We have specialist and in-depth knowledge of the services available, from detox centres to counsellors, support groups and therapists. 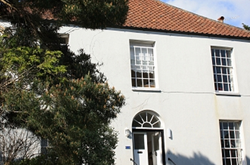 We can advise you on drug rehab in Bournemouth, alcohol rehab in the city and all it entails. We offer caring and considered support and guidance on which treatment service will be best for you. We can talk you through alcohol rehab in Bournemouth, drug detox and the like. Don’t be afraid to get in touch – we’re here to help and are happy to listen. We will not judge. All of our team has personal experience of addiction so we’ve really been there. It may be that a service within Bournemouth is best for you but we won’t limit our search to the immediate area. Geography is not the only factor. 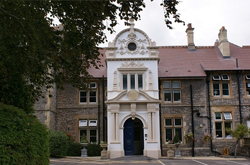 On the outskirts of Bristol is an addiction treatment centre that has space for 21 residential placements as well as outpatient services. There are many other options, including locations a bit further afield if you prefer the idea of getting away, such as in Weston Super Mare and Somerset. Individuals often call us when they are feeling at their most lost and desperate, but the addiction issue isn’t always theirs. When the person with a problem is a loved one or a colleague, it may be that an intervention is needed to help them face the issue. We can support that. Our experience at Port of Call, is expansive. We even provide workplace support services to enable employers to help staff and colleagues. We know you’ll have many reservations and questions and we pride ourselves on taking the time to listen to your concerns and providing the answers you need. A usual duration for residential rehabilitation is 28 days as this is widely accepted as the minimum necessary to secure results – but nothing is set in stone. Costs vary but need not be as high as many people fear. There are a range of options and variables based partially on the level of accommodation you require.